Explainer: Why are we still waiting for a referendum date? Why are we still waiting for a definite date for the referendum? Your questions, answered! This week we got some good news: the Cabinet agreed draft wording for the referendum! The final wording of the bill is expected to be published for the Oireachtas to consider, moving us closer to a referendum. Read on to get a sense of the timeline as we expect it to unfold and for things to do to keep up the momentum. Why are we still waiting for a referendum date? Before a referendum can be held, a Referendum Bill must be passed by both the Dáil and the Seanad (the Oireachtas). This bill officially calls the referendum and decides the wording that will be put to the people. Now that it has been approved by Cabinet, the Referendum Bill will go before the Oireachtas for debate. Minister for Health, Simon Harris, has stated that the bill will be put before the Oireachtas on the 6th of March. Do we know the wording of the referendum yet? While the final wording of the Referendum Bill has not yet been officially decided, it looks like the question will be to delete Article 40.3.3 – which contains the 8th, 13th and 14th Amendments – and insert a new clause – the 36th Amendment – which states “Provision may be made by law for the regulation of termination of pregnancies”. (For more info check out our blogpost here). What about the legislation after the referendum? The draft Heads of Bill for the legislation which will regulate abortion if the 8th Amendment is repealed will also be put before Cabinet in March. However, this draft legislation cannot be formally debated in the Oireachtas until after the referendum has passed. The draft legislation will be based on the recommendations of the Joint Oireachtas Committee on the Eighth Amendment. It is likely to allow access to abortion care during the first 12 weeks of pregnancy without restrictions as to reason, and then in later pregnancy in cases of fatal foetal abnormalities and when there is a risk to the life or health of a pregnant woman. So when will the referendum be? The referendum date has NOT been confirmed yet! Once the Referendum Bill has passed through both houses of the Oireachtas, Minister for Local Government Eoghan Murphy can set a referendum date. By law, this can be no less than 30 and no more than 90 days later. The Government has repeatedly committed to a late May timetable for the Referendum, with the 25th of May being the most-cited date. To make this happen, the Referendum Bill will need to have passed the Oireachtas by the 25th of April at the latest. Once a date is set, a Referendum Commission will also be set up to explain the referendum proposal, promote public awareness of the referendum, and encourage the electorate to vote. Are the Government going to stick to the timetable? As it stands, this is a tight timeline, but not an impossible one. The timeline could be delayed in the Oireachtas if amendments are proposed to the Referendum Bill. Another potential hurdle is an upcoming Supreme Court case. The State is appealing a decision from the High Court that suggests that the foetus has constitutional rights, apart from the ‘right to life’ granted by the 8th Amendment. That case began this week, on the 21st of February, and is scheduled to run for two days. It is likely that the Government will hold off on finalising the referendum wording until the implications from this case are known. As it stands right now, things are on track for the 25th of May. What can I do while I’m waiting? Get in touch with a local group in your area and sign up to help with canvassing, street stalls, or anything else. Talk to your friends and family about why you support repeal. Check the register using our handy flow-chart to make sure you’re eligible and registered to vote. Write a letter to the editor of your local paper supporting abortion access. Brush up on your facts. Get in touch with your TDs and Senators and let them know that you support repeal and how important it is that the Referendum Bill goes through the Oireachtas in a timely manner. 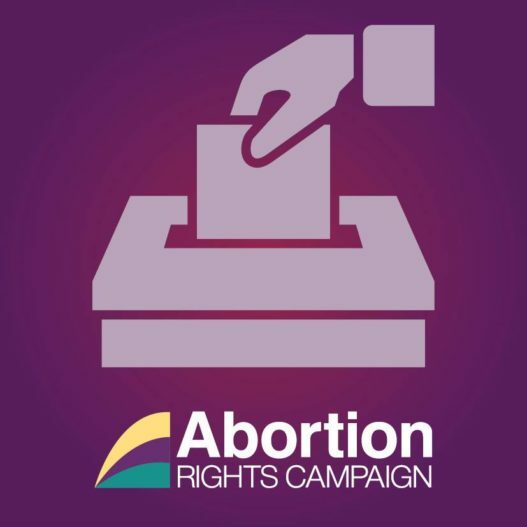 – The recommendation allowing abortion without restriction as to reason up to 12 weeks must be included in any draft legislation. – The draft legislation must fully decriminalise abortion. – The draft legislation must provide for abortion under the public health system without any financial or unnecessary regulatory barriers. This is going to be a vital few months and we’ll need all hands on deck to help us win a Yes vote in the referendum. We’ll have some exciting news about the national campaign coming very soon so make sure you keep an eye on our social media and website.